A new addition to the VIP Bathrooms range, these gorgeous new showers are among the most modern looking and visually impressive available anywhere today. Offering unbeatable style, superb quality and a truly fantastic price, these striking new showers are already proving extremely popular with our customers. 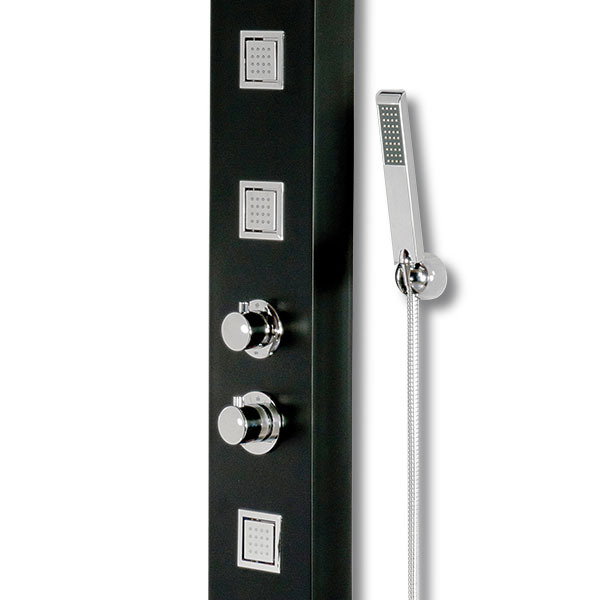 A perfect and memorable centre-piece for any bathroom, the new Black Thermostatic Tower Shower is guaranteed to make an impact. 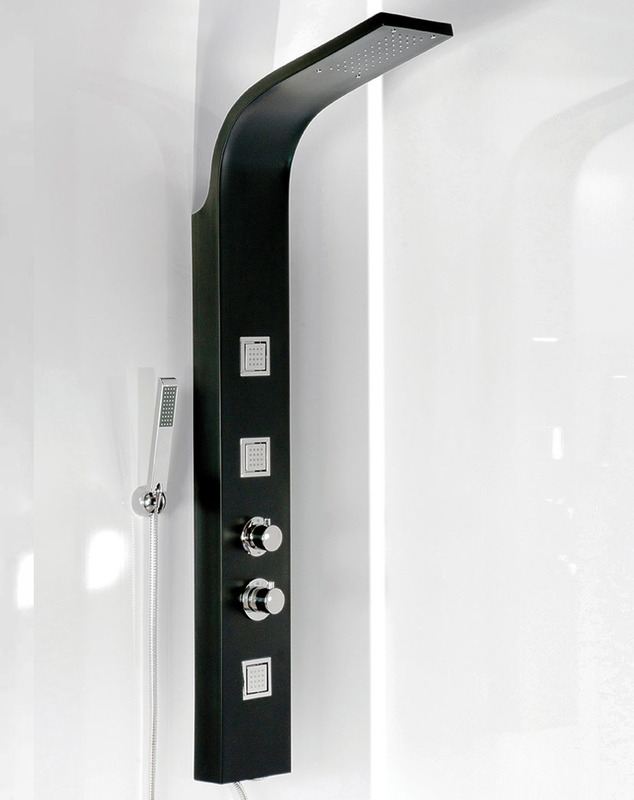 The stunning new range of Thermostatic Tower Showers from VIP are designed to impress. These new Tower Shower Panels are multifunctional, efficient and look simply stunning. With multiple body jets, a hand shower and a powerful fixed head, you can relax in your shower and let the water cleanse your body from all angles. The modernistic controls make it easy for you to turn your everyday bathroom routine into a luxurious tower shower experience. 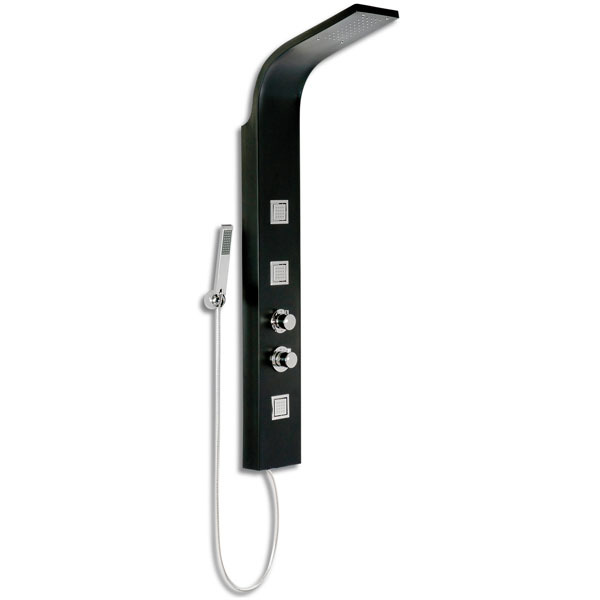 This item is the perfect new addition to any bathroom and is available at an extremely competitive price. With our range of showers you can create the perfect sanctuary in your bathroom. Create a sanctuary of rest and relaxation in your bathroom with a top of the range shower system from VIP Bathrooms. Our high calibre range of showers can help soothe aching muscles and rid you of all your stresses, helping to revitalise you in the morning and unwind in the evening. 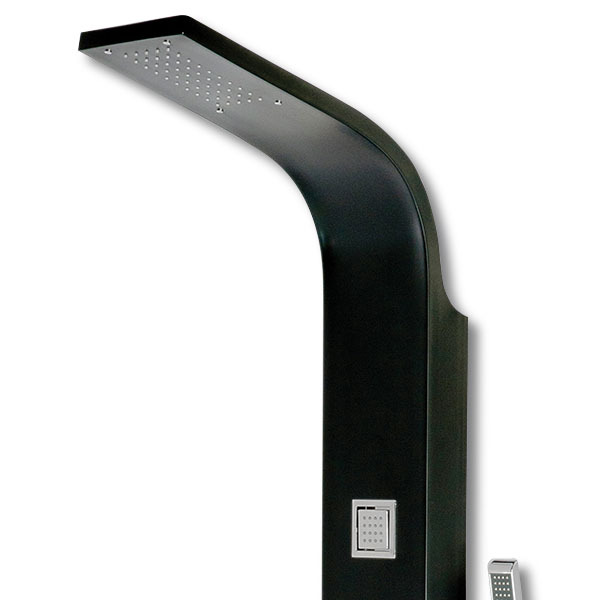 A quality shower system is about more than pure relaxation though; it is also about style. Our selection of showers combines absolute luxury with a range of designs, suiting both modern and traditional interior preferences to provide you with a shower that perfectly suits you and your specific needs. Purchase your highly affordable shower today and see your bathroom transform before your very eyes, as you add that perfect finishing touch.